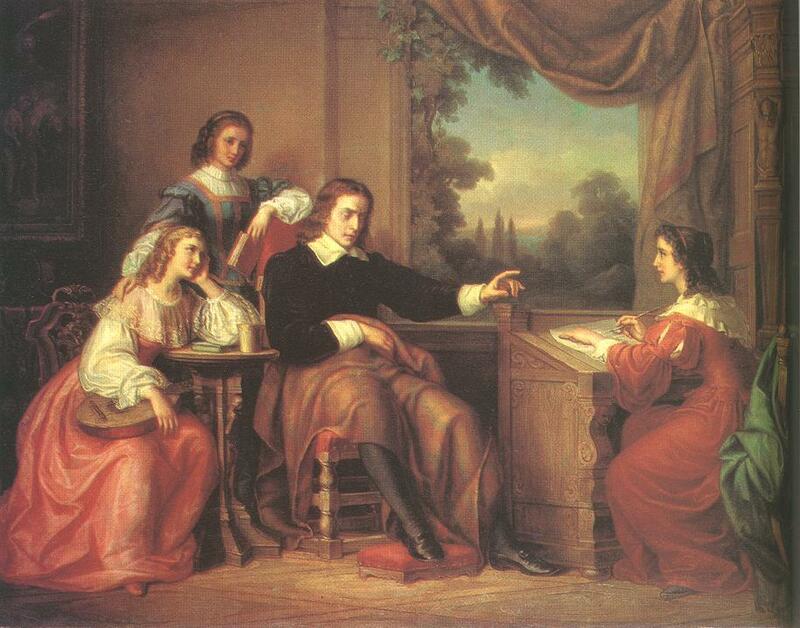 Fourth Friend: John Milton, “Sonnet XIX: When I Consider How my Light is Spent” – Everything is Oll Korrect! What, then, should we put forward as the definitive Protestant work of literature? There are a few possibilities, but the strongest contender must be John Milton’s epic, Paradise Lost. If I had world enough and time, I’d take a shot at memorising at least a part of that, but for now, I must content myself with something shorter. Though he’s best known for his epic, and for good reason, he was a prolific poet and wrote a number of other excellent, shorter works, as well. For this Hundred Friends series, I specifically chose his sonnet, “When I Consider How My Light is Spent.” For context, this is the first reference Milton makes in poetry to his blindness, which became complete in 1652, so it would’ve been written shortly after this. Representative Poetry Online puts the likely date at 1655. In Catholic terms, we might call “stand[ing] and wait[ing]” the contemplative life, though that’s not quite what Milton describes. In any case, we should perform works of charity while we can, because at some point in our lives we may no longer be able to do so, whether due to the frailty of old age, sickness, injury, or something else. At that point, we become more objects of charity than workers, but as Milton points out here, as useless as one may feel, that does not mean that we are no longer of value in God’s Kingdom. Milton, for his part, did continue to write by dictating to his daughters, but everyone is capable of prayer and meditation. However, prayer and meditation, outside the rare miracle, doesn’t produce the obvious effects that, say, the corporal works of mercy do, so it feels as though our talents are “Lodg’d with [us] useless.” To the pious, this is understandably frustrating, but the Kingdom of Heaven will get along just fine. “God doth not need / Either man’s work or his own gifts,” but He can accomplish His will using any means He pleases. What He expects of us are not great works, but rather, “who best / Bear his mild yoke, they serve him best.” If that means putting great talents to use, wonderful. If, however, that simply means carrying our cross, whatever that may be in our life, that is sufficient. If you read Newman as talking about the literary tradition of modern English, then I think he’s right. Modern English literature starts in the Tudor period, which is also the period in which England became Protestant. Earlier English literature is Catholic, but it did not have an effect on modern English literature because it could be read only with great difficulty. Interest in earlier English literature became and remains philological in nature.